“It touches me right here,” Darren Till explained, tapping on his heart. For a fighter so well known for bravado and confidence, the notable and unexpected support of the Dallas fans in attendance at the official UFC 228 open workouts clearly hit him in a soft spot. It makes sense that Till would be shocked by the support. 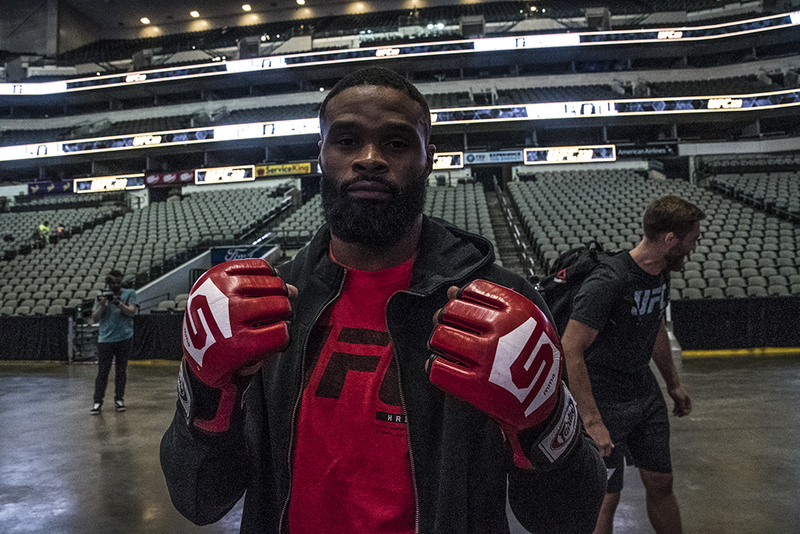 His champion opponent, Tyron Woodley, is at home less than 650 miles from Dallas, where the two will clash in the main event of UFC 228 on September 8, 2018. Till hails from Liverpool, nearly 4,600 miles and a long, painful flight to the other side of the pond. Asked what he made of the Yankee love, and Till’s trademark morale quickly returned. Similarly, the sunny disposition of Valentina Shevchenko wooed the Texan crowd with her crisp workout, and won them over with a choreographed dance routine with her newly-minted UFC sibling Antonina Shevchenko. The MuayThaiSisters Power Workout was developed by the sisters nearly a decade ago as a conditioning regimen. “We did just a little part of this workout. When you do the whole workout, you have to take a lot of breaths. You have to put in all the conditioning. You can see I’m starting to sweat, so maybe I’ll use it for tomorrow’s weight cut,” Valentina laughed. Like her fellow UFC 228 title holder, Nicco Montano lives less than 650 miles from her upcoming showdown in Dallas. Still, if the attention her opponent garnered bothered her, Montano didn’t let on. Certainly, her opponent had a contingent of fans in the crowd. But Montano’s status as the first UFC women’s flyweight champion combined with being the first Native American UFC champion was not lost on the local Texan fans who cheered and whooped in support of a new star basking in the moment of her first open workouts, and ahead of her first title defense. 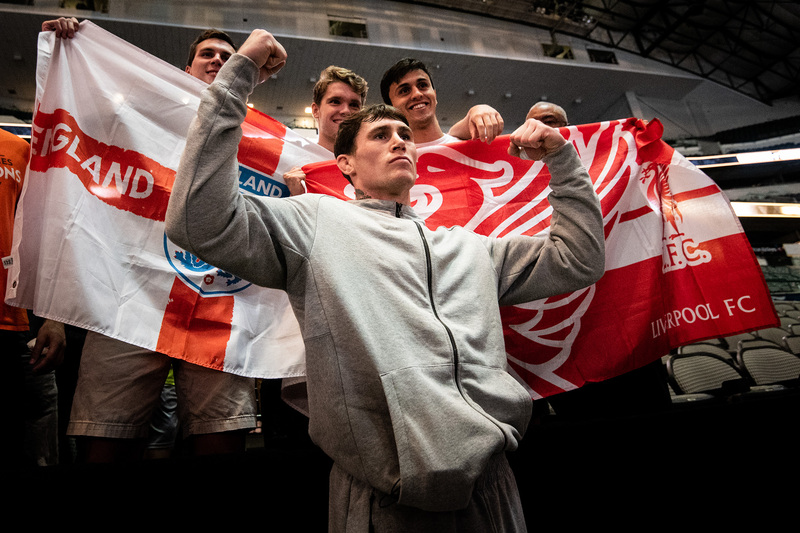 Yes, Darren Till brought some fans and made some new ones, but Woodley reminded everyone in attendance why he’s survived two generations of contenders, happy to beat any comers in any style they choose.